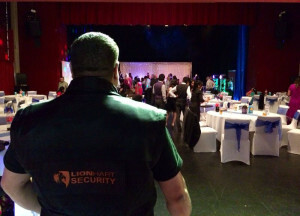 Lion Hart Security understands the importance of wedding security for what is thee most important days of a person’s life. Our experience within the industry has broadened our knowledge, understanding and communication with people which allows us to blend high levels of security with discretion so that the big day isn’t disrupted in any way. Client requirements and needs are our key business and we will respect your wedding day as if it were our own. Our personnel will look after your home, valuables, safety and well being of your guests ensuring that no unauthorised people manage to gain access. We also go one step more if required, Venue and gift security whilst you continue your dream wedding. We offer a bespoke quote for each wedding based on your requirements. Our service is discreet or as visible as required. All staff are fully trained hosts able to ‘meet & greet’ guests. Outdoor event stewards, car parking attendants, etc. All staff are highly experienced. Home & Venue security prior to and post wedding day.